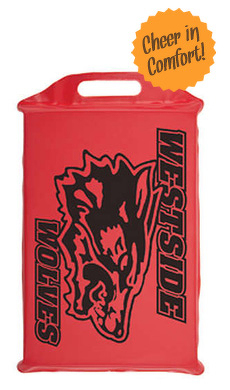 New Optipoly™ foam enclosed in a waterproof 600 denier polyester fabric with PVC backing. Easy over-the-shoulder 1.5" x 48" poly web carrying strap included with stadium seat cushion. Imprint options are endless! Designed using 2" thick deluxe folding foam to create the perfect stadium seat cushion.